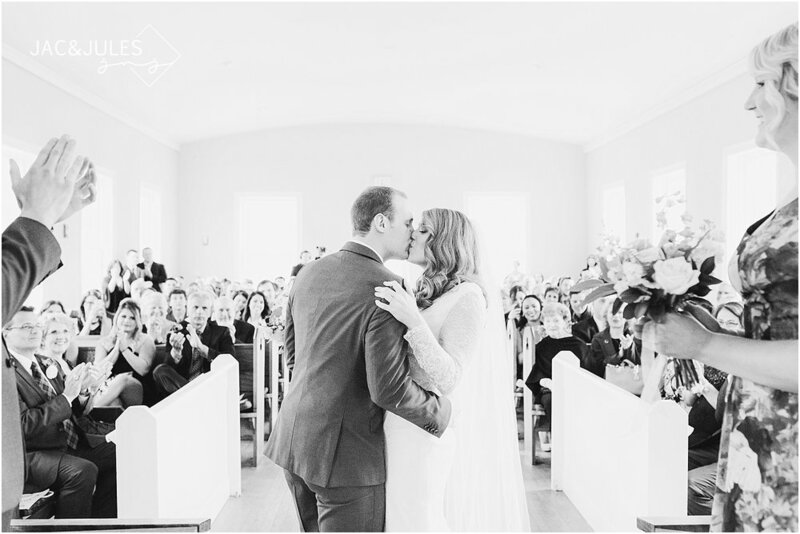 WE ARE SO EXCITED TO BE PUBLISHED ON NEW JERSEY BRIDE and super happy for Kait and Jimmy! 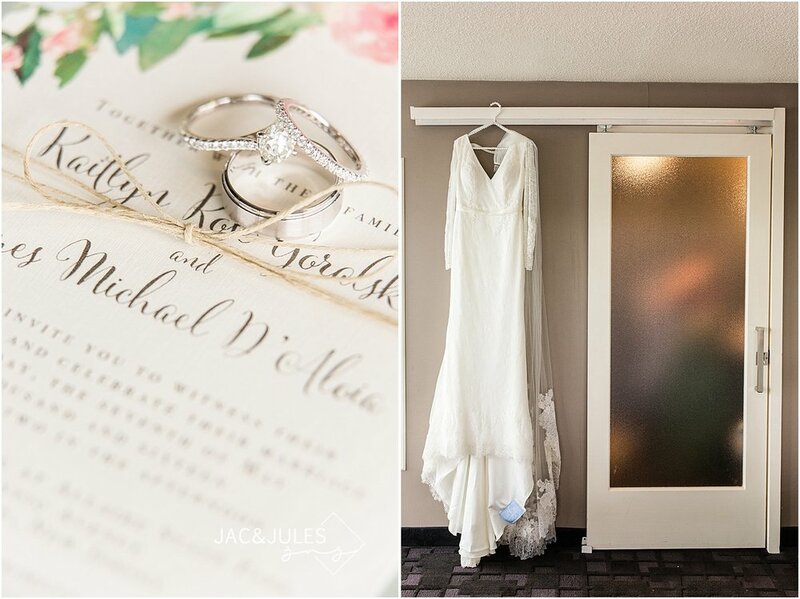 Their wedding had so many amazing details, most of which were DIY. They have some serious style, too. 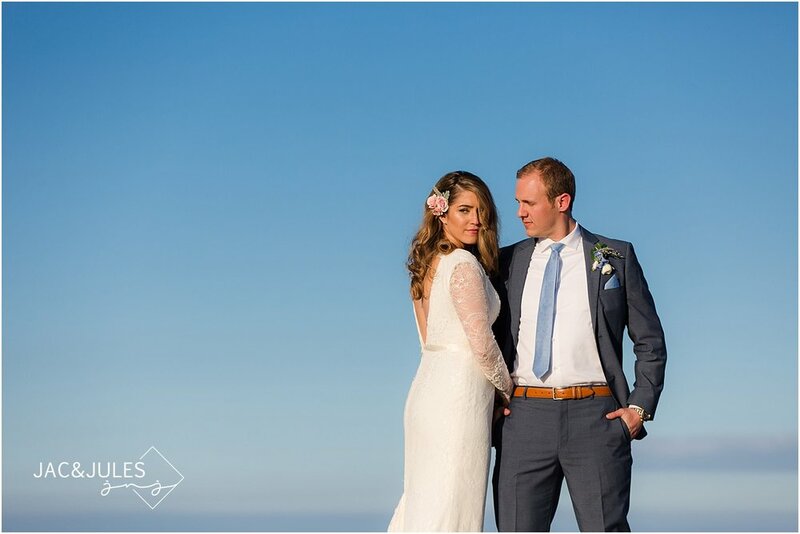 Love the Bridesmaids dresses from ASOS and the guys blue suits from Tie Bar were pretty sharp and went really well with their locations. The florals from Flowers by Melinda were absolutely stunning and there were lots of rustic elements for spring, like the wood slice cake stand and centerpieces. How about the amazing favors/seating "chart" which were succulents in a gold painted terra-cotta pot with the palette sign?! Love! 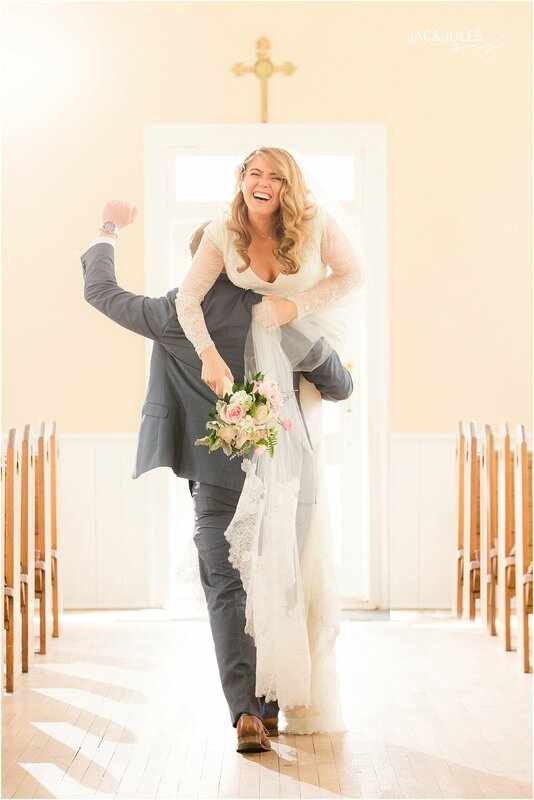 Check out a few Pinterest worthy highlights below and read their story on New Jersey Bride! Congrats again, guys! Jimmy wrote a beautiful note to Kait on the bottom of her shoe! How sweet! 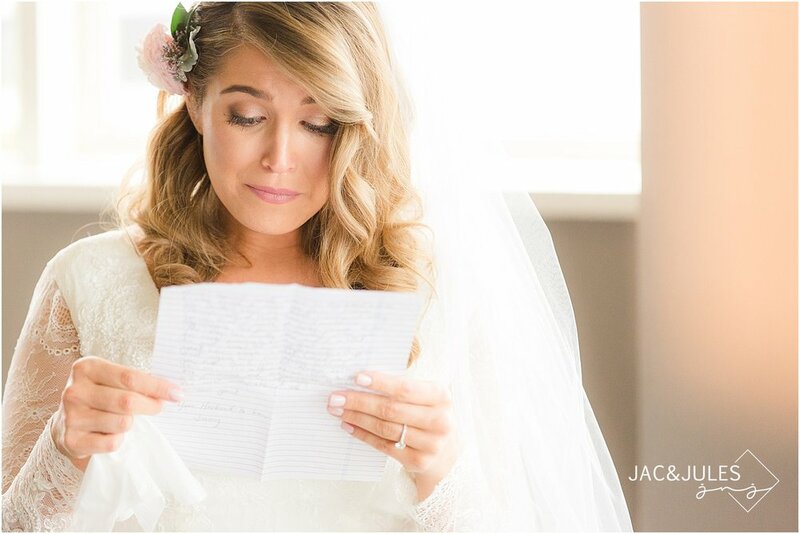 She got her wedding invitations from etsy and shed a few tears while reading Jimmy's letter to her. Dress from White by Vera Wang. 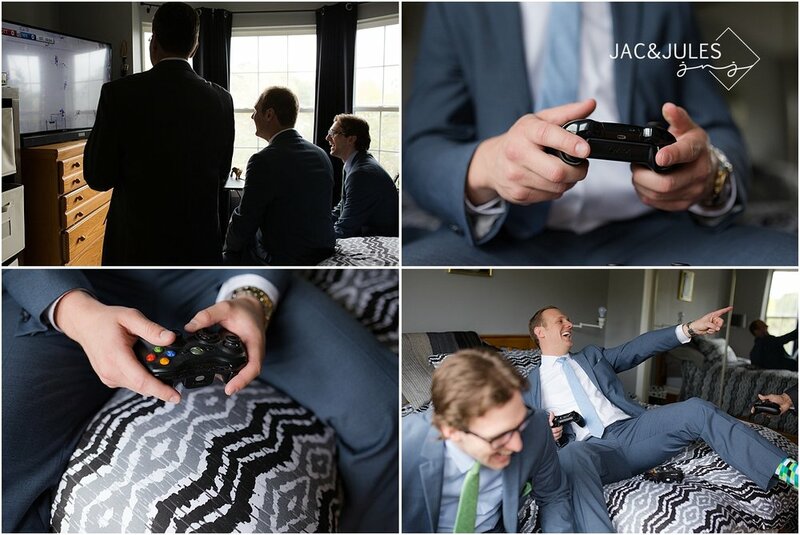 Jimmy, his dad and brother always play Xbox, so of course we had to take a few minutes for that before heading to the ceremony! Are these shots not to die for, or what?! So much HAPPY! Each bridesmaid wrote how they met the bride on their chalkboards. Love the floral print bridesmaids dresses, too! 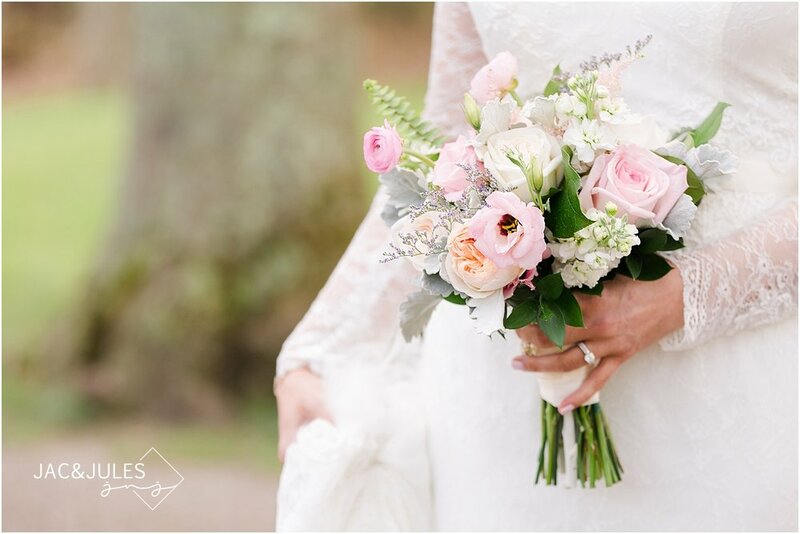 Flowers by Melinda outdoes herself yet again with amazing spring bouquets. Completely in love with the spring vibe! 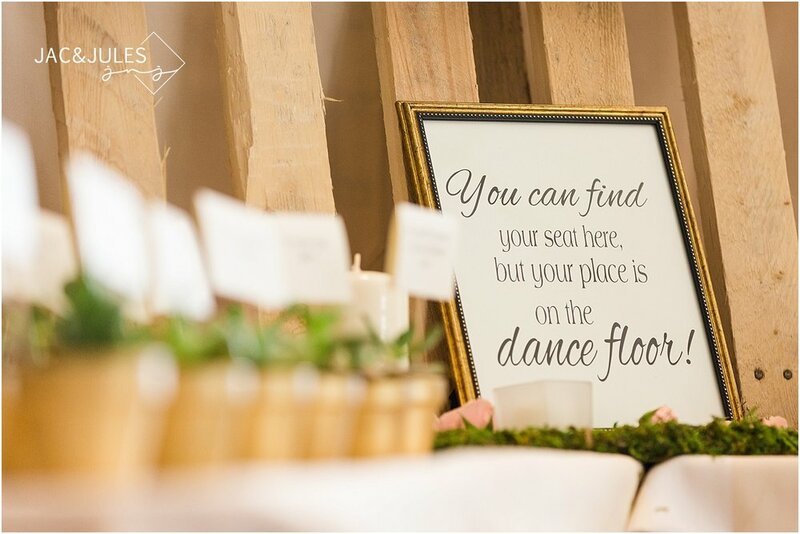 Rustic palette sign and succulents in gold painted terra-cotta pots greet the guests as favors and seating arrangement. Wood slices hold the centerpieces with florals, greenery and candles from Flowers by Melinda, and a cake from Carlo's Bakery sits on top of a wood log with their names carved into it!